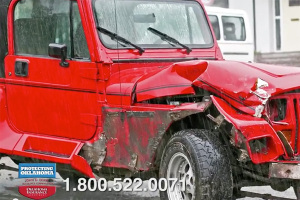 In December, Oklahoma Insurance Commissioner John Doak released a Public Service Announcement video making Oklahoma motorists aware of their rights when involved in an insurance claim. The video specifically speaks to “steering,” and that the consumer has the right to choose the body shop they wish to perform their repairs. This follows a memo released by OK Attorney General Scott Pruitt on November 6th which issued a warning to Oklahomans regarding the practice of “steering” – where insurers strongly push consumers to auto body repair shops that may provide substandard service to consumers. Attorney General Pruitt is looking in to reports that certain insurers are coercing Oklahomans into using auto body repair shops that may use salvaged parts or other substandard materials to make repairs, while claiming to use new parts or materials made by the automobile manufacturer. In many instances, the use of so-called “after-market” parts voids automobile manufacturer warranties. Such parts also may not meet manufacturer specifications and potentially could fail in the future. Many insurers strongly push consumers to have repairs completed at approved repair shops. Attorney General Pruitt is concerned that some insurance companies may be crossing the line, making dishonest statements in the steering of consumers, and knowingly guiding consumers to repair shops that make substandard repairs.